Previously, I recommended five children's books to read if you enjoy the more popular titles like A Wrinkle in Time, Little House on the Prairie, or A Series of Unfortunate Events. If, however, you like fantasy books, here are a few suggestions of good children's fantasy stories. After all, C.S. Lewis said, "A children's story that can only be enjoyed by children is not a good children's story in the slightest." If you grew up reading The Chronicles of Narnia by C.S. 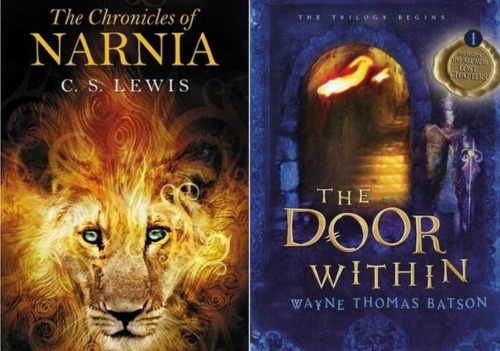 Lewis and you're looking for something similar in terms of genre and taste, you should read The Door Within trilogy by Wayne Thomas Batson. These books follow the adventures of Aidan Thomas as he travels to another world, fights a battle between good and evil, and learns deep truths about himself and life in general. Both series follow the same vein of fantasy and hold similar messages about life, friendship, and belief. Plus, there's a plethora of wonderful characters, magic, and excitement to discover. 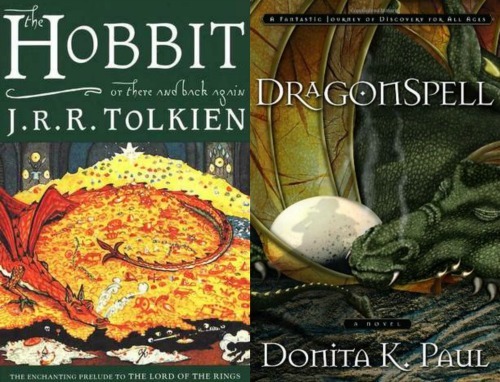 While the plot of The Hobbit and Dragonspell (book one in the DragonKeeper Chronicles) differ, they hold a lot of similarities. There are crazy wizards, exciting adventures, and colorful cultures and people, in addition to the dragons! Both stories follow unlikely heroes as they embark on a quest that will test their mind and heart. If you love The Hobbit, give Dragonspell and the other books in the DragonKeeper Chronicles by Donita K. Paul a try. One of my favorite aspects of the Percy Jackson series by Rick Riordan is that it makes learning about mythology fun. The Seven Wonders series by Peter Lerangis does the same, only instead of mythology, you learn about the Seven Wonders of the Ancient World. Both series include a ragtag group of special kids that essentially have to complete quests to save the world. Both series mix modern day with ancient history and myths. And both series are filled with hilarious moments, witty dialogue, and fun, exciting adventure! 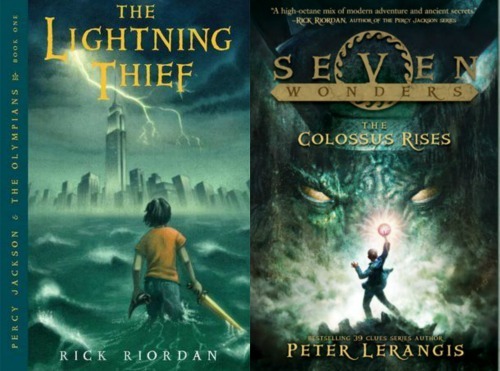 If you like Percy Jackson, check out the Seven Wonders and get ready for a wild ride! 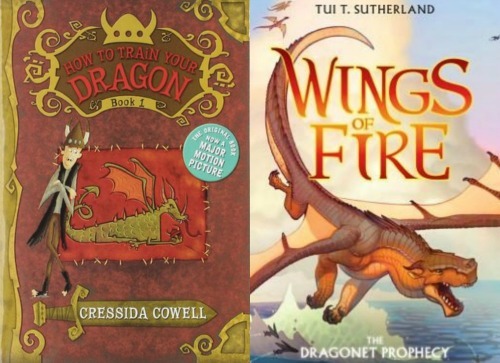 Fans of the How to Train Your Dragon series by Cressida Cowell will also enjoy the Wings of Fire series by Tui T. Sutherland. Both feature all types of dragons, excellent world-building, and loads of adventure. Just like there are several viking tribes in HTTYD, Wings of Fire features several dragon tribes and how they interact with one another. There are prophecies, dragon fights, and a wide range of characters discovering who they are. Basically, if you love dragons, you should read this series. 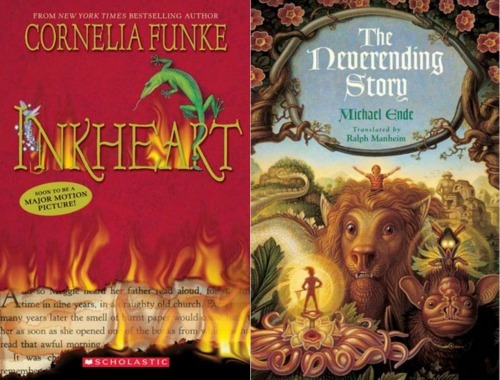 I haven't read Inkheart by Cornelia Funke yet, but everything I know about it reminds me of The Neverending Story by Michael Ende. 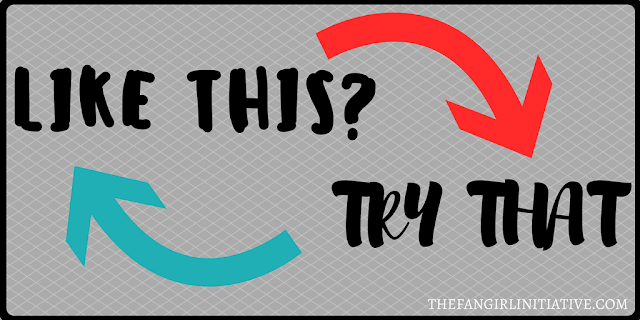 Both stories involve a connection to books, fictional characters, and the magic that is held within. While there are probably many differences between the two stories, I think that someone who likes Inkheart would enjoy reading The Neverending Story, and vice versa. All you have to do is pick up the book and turn the page. What children's fantasy books would you recommend?